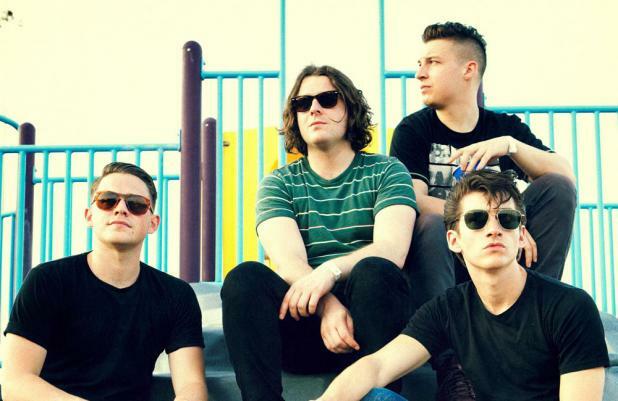 The Arctic Monkeys "stole" their new album title from the Velvet Underground. The British band have revealed the name of their fifth studio album, 'AM' - which will be released on September 9 and feature 12 new tracks - was shamelessly inspired by the veteran rockers' 1985 record 'VU'. Frontman Alex Turner joked: "I actually stole it from the Velvet Underground, I'll just confess that now and get it out of the way. The 'VU' record, obviously. "Did we cop out? Yeah! Summat about it feels like this record is exactly where we should be right now. So it felt right to just initial it." The Arctic Monkeys have teamed up with Queens of the Stone Age crooner Josh Homme on one of the album's tracks, and they believe it is their best and most exciting collaboration to date. Speaking to Zane Lowe on BBC Radio 1, Alex explained: "The Josh thing was very much a case of one of us returning a back scratch to the other... he came down and sort of got us out of a little rut. It's just fun, it's friends, extended family now - [they] came round, had a fun night. "His contribution to our record is really exciting, it's probably my favourite. The 30 seconds that he's in there is just, I dunno, it's like something that I've never heard before." The band will debut some of their new songs, including lead single 'Do I Wanna Know?' at Glastonbury festival in the UK this Friday (28.06.13), and have promised to have "a bit more fun" with their set than their last 2007 performance on the Pyramid Stage.